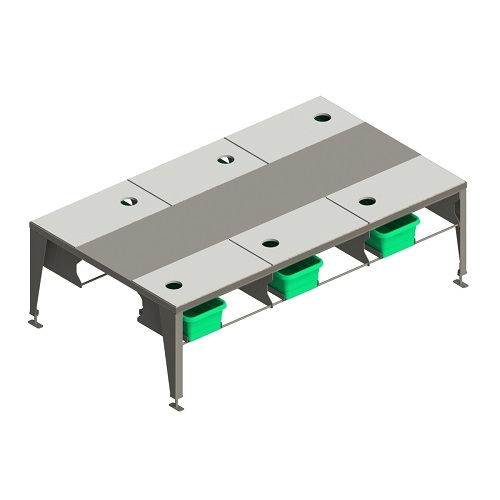 Features and benefits:Stone Boning Tables are fabricated to handle a wide range of product applications.From simple operations to large operations that need conveyors integrated into the center. Construction: All of our boning tables are made of 300 series stainless steel, TIG welded and fabricated with ergonomics, space efficiency and ease of cleaning in mind. Description: All tables are designed to the customers width, shape,length and width specifications.